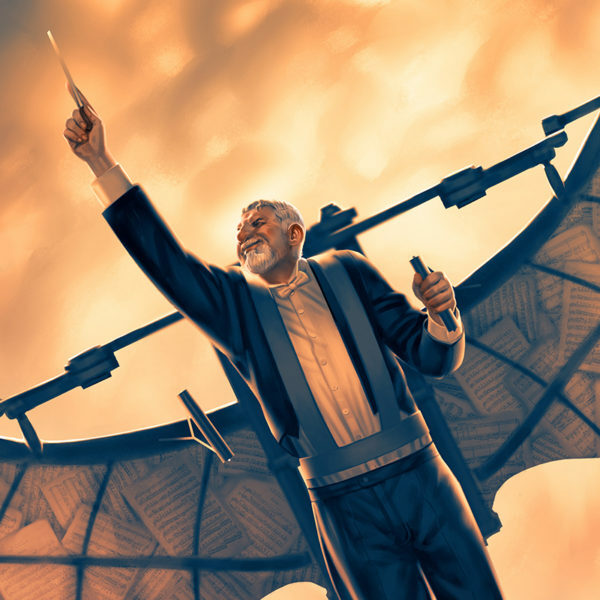 I was commissioned by the Redlands Symphony Orchestra to depict a wondrous scene that captured the essence of their 2018-2019 concert season. 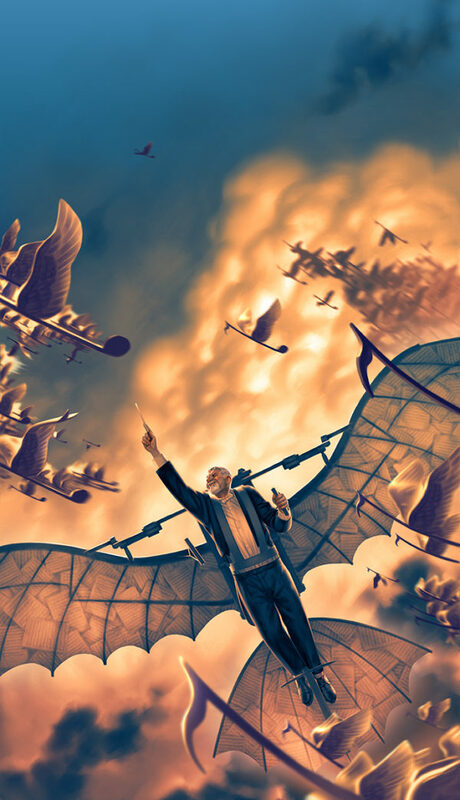 The illustration features the orchestra’s new conductor taking flight on a da Vinci ornithopter through skies filled with winged music notes, inviting concert-goers on a fantastical journey. Special care was taken with the composition, which allows for a variety of ways to crop the artwork for brochures, posters, and other applications.